The section under construction is between BW 8 and SH 6. For a map, see October 2003 views. Work is progressing very quickly. These views start at the south end and proceed northward. 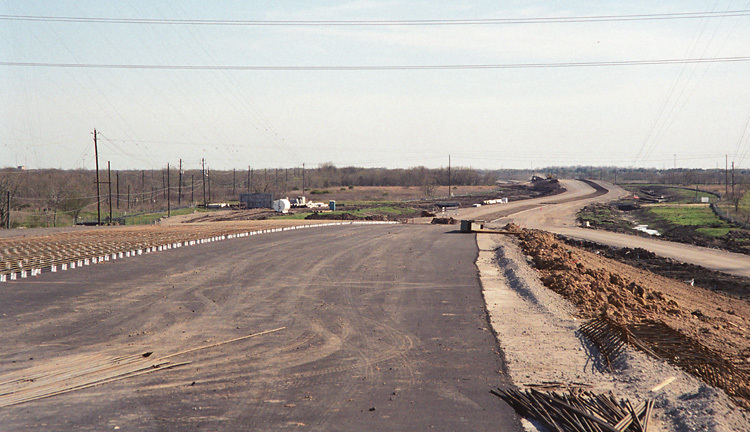 This view looks north at Tramwell-Fresno road. Since there is no embankment for an overpass, I'm thinking that this may be the startpoint of the tollway rather than SH 6. 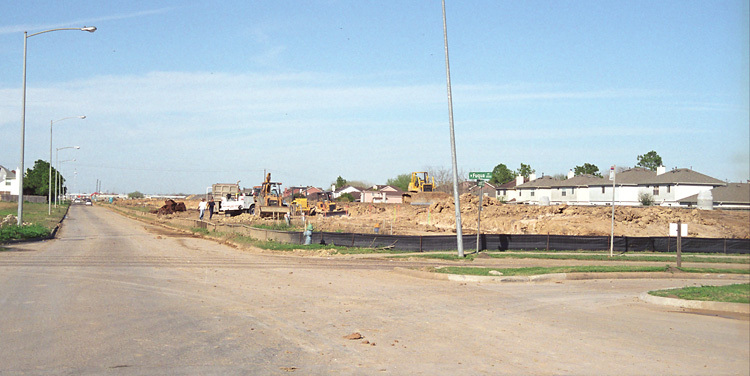 This view looks south at McHard Road. Looking north from the south side of McHard Road. 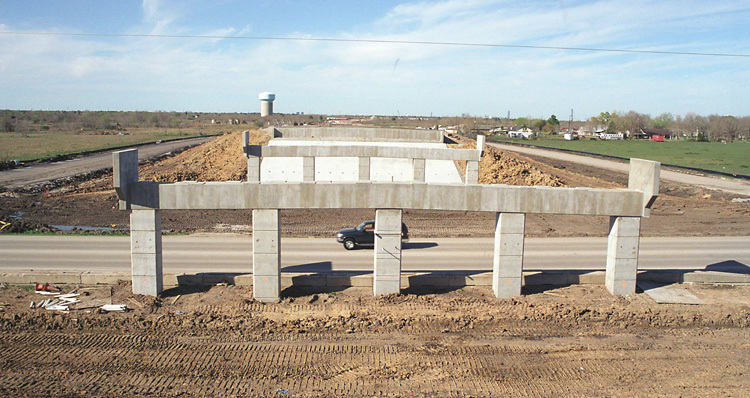 This side view of the overpass at McHard shows the decorative endcaps on the piers. 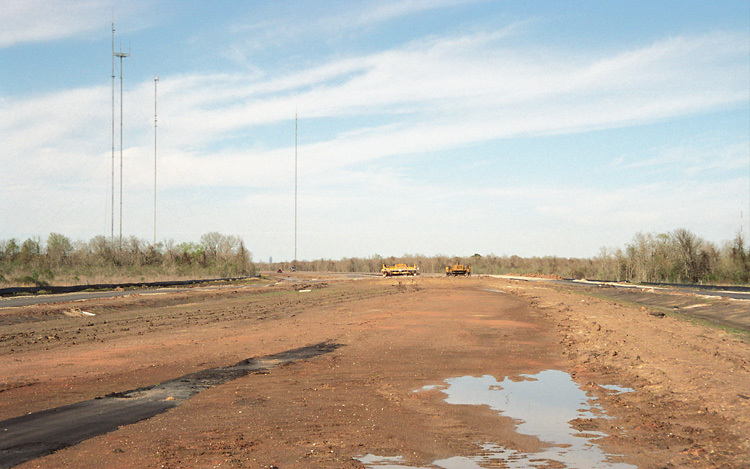 Looking north from the north side of McHard Road. Embankment is starting to accumulate for the overpass at Fuqua. 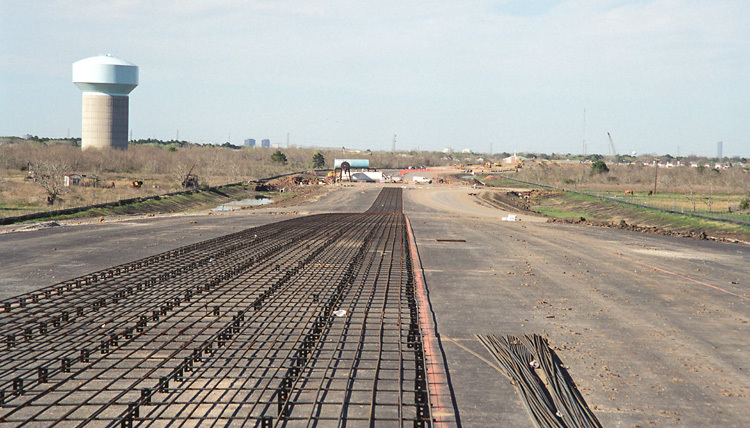 Just south of Beltway 8, this crew is putting precast panels in place for the overpass over Beltway 8. 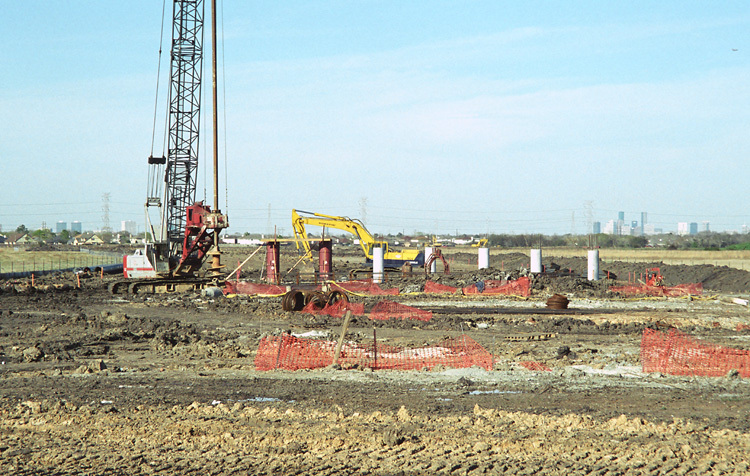 This is just north of Beltway 8, showing the piers for the elevated tollway structure. This is the intersection of Orem and Chimney Rock. Across the street, orange stakes designating the alignment can be seen. 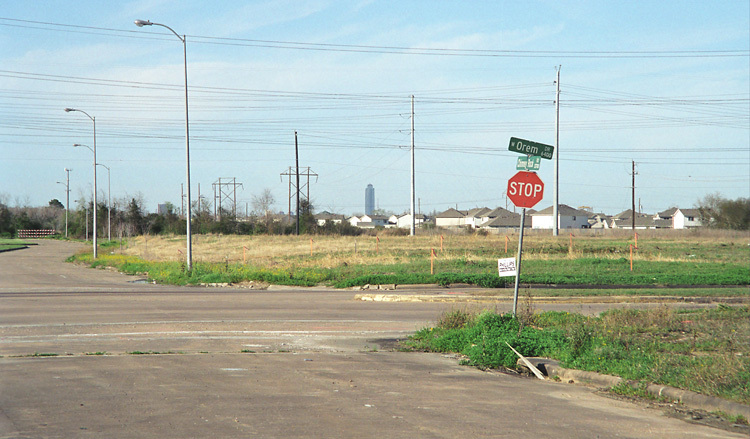 The tollway will be built directly above the point where the photo was taken.